A blog post I wrote to High School Students. As I’ve been helping students get going with their gmail accounts and blogs over the past couple of weeks I’ve been joking about the “old school” e-mail systems that some of you still use. Hotmail, Yahoo…and seriously….AOL…come on….. But there is another old school tool that I think has seen its best days behind it. Microsoft Word….oh how we loved you back in the day when you were really the only word processing program we needed. But times are changing and it’s time to move on to new and better tools. Google Docs is a very powerful alternative to Word. Here are 10 reasons to consider using Google Docs the next time you need to do some writing. Nothing worse than staying up all night to finish an assignment only to quickly drag it to your flash drive and turn up at school with a file that won’t open on a teacher’s computer. With Google Docs access to your file is only a click away and you never have to worry about your file their corrupt. Of course if your file is not corrupt then it’s your USB Key that fails you when you need it most. Using Google Docs as an online storage locker means never having to worry about a corrupt or even lost USB key again. Simple download the documents you need when you get to school. With 1GB of space you can store a weeks worth of work easily. 3. .doc .docx who cares! Nothing worse than having a file you can’t open or giving someone a file they can’t open. With Google Docs simply share the link to your file on the Internet. If they have a web browser and an internet connect they can view the document. By far the best feature of Google Docs. Work collaboratively with others in your class. Missing a day because of IASAS? No problem! Have a friend take notes in Google Docs during class and simply share the notes with you. Just don’t forget to return the favor. Simply create documents to share with team members, club members, or anyone else you need to. No more worrying about the latest versions of the document or how many times you’ve revised. Allowing everyone to work on the same document at the same time can increase productivity and save you time. Still need to hand in the Word or PDF version? Not a problem File – Download As allows you to download Google Docs in a variety of formates. Proud of a piece of work that you want to put on your blog or share with the world? With a couple simple clicks turn any document or presentation into a viewable web page. If you can click you can publish. Never worry about leaving your USB or computer at home again. Any computer, or mobile device for that matter can access your files. From an iPad to a Blackberry it might not be the best view in the world but you can still see your documents. If you have the Chrome browser installed (and if you don’t you should) install these apps to allow you to work on the go. Turn your bus time into work time. We’re headed into a fully web-based world. Even Microsoft is working to make Word fully online in a few years…see I told you they were old school. Get a jump on the future and get use to working on the web now so you’re not playing catch up later. Those are my 10 reasons….what would you add to the list? Your points are really well constructed and provide some real food for thought. I am using Google Docs and you have inspired me to push these ideas towards my students more proactively. How do you deal with concerns around material being on the cloud and the nervousness about losing material in corporate makeovers and insolvencies? Actually the day when I loose more documents to corporate makeovers and insolvencies then I do to corrupt files and flash drives I’ll have a concern. But for now GDocs is way more reliable then any flash drive a kid brings to school. I agree with what you said above about GDocs being more reliable than flashdrives. Flashdrives are way too risky because sometimes one could lose them or not be able to open a doc on them. I personally, would choose GDocs over flashdrives becaise GDocs is much easier. Spot on! I’ve been spreading the good word about Google Docs all around my school. The only point I would question is number 6 — I’ve had massive pains in converting to PDF from google docs. So much so that I now go GDocs –> Word —> PDF. I find this really annoying and am looking forward to direct PDF conversion actually working. It’s getting better. Seems be be a big improvement with this in the newest version of GDocs. Not sure if you’ve switched over yet, but he viewer and the PDF exporter seem to do a much better job. But it’s a small complaint for such a fantastic program. i’m a google docs user, but still have to stick with word, because google docs isn’t at a place yet where i can use it as my sole word processing tool. it’s the little things that count (decimal tabs, etc). but i’m waiting patiently with my new chromebook for the day! you know how using the tab feature aligns the beginning of your line with the tab? a decimal tab aligns your characters based on the decimal point of a dollar amount. vital for invoicing. i’m pleased with how google docs has been coming along (at first it was horrible – the printed end product looked nothing like the page!) but it’s getting there. I agree. Google docs is very convenient, but word has the little features that are integral and necessary for a lot of serious word processing. Thanks for the post…hopefully I’ll never get a docx attachment again! The revision history of the shared documents has been flawless. Interesting link about offline use..that’s something I haven’t tried. Totally overlooked the revision history….should have included that as well. Thanks for the reminder…great feature! In my classroom, I vote for Docs over Word any day. Word only works when we can get into the network where we saved. But first we have to remember where we saved. And for elementary children, that is no small feat. Docs are always there. But more than that, I love the ability to see what my kids are doing as they are doing it. Why is Zachary just sitting at his desk? He doesn’t seem to be getting much work done. I log in and notice he is spending time typing a word and then deleting it to type another. Next word he types gets underlined in red due to improper spelling so he spends time trying to fix it. By the time our half hour writing period is up, he has written one sentence. With docs, I can send him a comment that he needs to ignore all red and just type. Then I can edit his spelling while he types. His words get out there and I haven’t embarrassed him by pointing out his slowness in front of everyone. Great top-10. Our district is slowly transitioning people from Microsoft Exchange (yuck) servers for e mail to Google Apps, including the use of GoogleDocs. I’m excited because I already do everything on GDocs, so now, I have an opportunity to share with people how they can use GoogleDocs in their classes, planning, whatever. Sharing is key, if you ask me. I’m going paperless more and more because of GDocs. If there is a lab I want learners to go through, I don’t need to make copies anymore. I post the lab on my website from GDocs and they all work from it in the classroom when they need it. They can’t lose the paper and I don’t need to think about how many extras I’ll need for missing papers. I am just learning Docs and am teaching my first college (entry level)class. What is the best way to learn all it can do? I don’t really enjoy tinkering on the computer and am working full time+teaching. Any advice on websites or shortcuts? My advice to you would be to head to Youtube and watch some videos on Google Docs. There are a ton there that will teach you basically everything you need to know to get started. I have been using Google Docs for a long time and I’m fully satisfied with it. There are many features that makes it pretty helpful for us. The most common one is data sharing and above all there is no chances of data corruption. One reason I can’t tell my students to go over to Google Docs is that the Hebrew Language Documents creayed in Google Docs are not fuly compatible with Hebrew Word files (.doc & /docx). This is especially true with docs with complex tables or lines containing both Hebrew & English text. As most of our school work is done in Hebrew and interchangebility with Word files is an absolute necessity, We just can’t all go over to Google Docs yet! We have been having pretty good luck using google docs with Hebrew at our school. We are using mac OSX with Hebrew language. The newest version of docs seems to be a huge improvement in Hebrew. There is an individual setting on each student’s account that must be turned on to view the left right/right left tool in the toolbar. Once we learned that, the lines that went back and forth between Hebrew and English work pretty seamlessly. Give me a shout if you have any specific questions I might be able to help with. I use GDocs quite a bit myself, but what about younger students who do not have Google accounts? I’m also thinking about places where there isn’t internet access. There needs to be an alternative, offline mode. This is a great list, I wish my district would have headed in the GDocs direction instead of sticking with Microsoft. Too many people not ready to move forward I guess. My district uses gmail for all our student accounts and we are pushing kids towards google docs for word processing. It is great for storage, collaborating, and sharing. The only complaint is the lag time as you type. But that’s our problem. Thanks for the resource! Moving entire School over to Google based learning platform in coming weeks. I believe it will help us crack the greater use of ICT within the School. Collaboration in particular has so much potential. My wife and I often laugh at the commercial where the old guy teaching the gym class reads through the list of supplies students will need at the start of the year. At the end of the list he says jump drive. He doesn’t know what it is, but says the students will need it! As a former middle school teacher, this was the case every year! Teachers would make students buy a jump drive/USB and the students would never use them. All well and good when you have reliable internet. I taught with GDocs in Qatar, and the Net was spotty but manageable. Teaching now in China, and the Net is challenging. Google-related sites, including Gmail, is often blocked. VPNs help but are costly and illegal. I love GDocs, but it isn’t always reliable, due to circumstances beyond its control. Jeff, some of my colleagues attended sessions with you in Shanghai two weeks ago and found them to be invaluable. Glad to hear my sessions were worth attending. 🙂 As for China…..I understand the frustration (living there for 3 years). But there are other programs that do what Google Docs does that might not be blocked? Typewith.me is one we mentioned at the conference. China is it’s own issue and a frustrating one. Teaching there will make you more creative for sure. I have to agree that Google Docs is an amazing tool and completely outshines Word for educational purposes. Google Docs has really come in handy for many projects I have done with my students. When my students were writing a script for a play about bullying, they were each able to get on Google Docs, write and edit simultaneously, and chat with each other about the script. Meanwhile, I could monitor what each of them was adding to the finished product. This made for a truly collaborative project. It was also great because they could easily each go home and add to the script as well. I agree with all of your ten reasons, but for the purposes of my classroom reason number four (collaboration) has been the greatest feature. Personally, I prefer Google Docs to Word because I use a different computer when I am at home and when I am at work. Therefore, Google Docs makes it a lot easier for me. I remember the days (not that long ago) before I discovered Google Docs when I had to e-mail myself an attachment of the Word document every time I knew I would want to work on it on a different computer. I am very happy there is no need for that anymore! I’m a computer technician for a school board. Personally I do like Google Docs however the problem is that it doesn’t scale very well. How do you add several hundred to over 1,000 students? If a student is sending inappropriate emails, how do you stop them or disable their account? There is also little or no support from Google. Here in Bangkok we seem to get pretty good support from Google…..more then we do for Word that’s for sure. 🙂 We’ve got 1900 students and 300 staff on Google Apps and it’s scaling fine for us. If students send inappropriate emails we disable their account…not that we’ve ever had this happen…..to our knowledge anyway. But you do have full control over suspending and deleting accounts via Google Apps for Education. And… Excuse me if I’m wrong here, but isn’t the #1 reason to choose Google Docs over Microsoft Word is … FREE! Something free is a great incentive for any and all, especially students on a budget. I found this blog very interesting. I enjoy using tools that simplify my life and google docs certainly seems to be one of those tools. 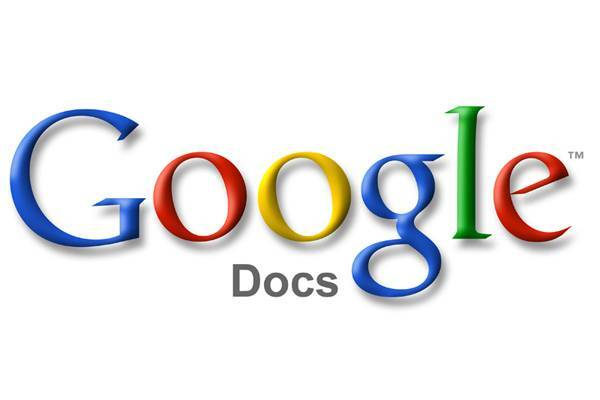 Google docs eliminates many of the headaches that can occur with word. I often lose my flash drive, so I am loving the convenience of google docs. My school district does not utilize gmail and my colleagues are not very familiar with google docs, but I am making it a goal of mine to expose them to google docs and hopefully we can begin to collaborate and share information. I appreciated the links at the bottom with more ideas. I am a huge fan of google docs over word. You guys have sold me. Any suggestions on where to start? It looks like Google Docs has a lot of features now. 1. In years past I always had low income students that could not afford to buy the Microsoft product and always struggled using Notepad or Works. Many times they would bring these to school and the school computer would not be able to read the format. 2. I work for a school that always says it does not have enough money for technology yet we pay $8000 a year for Microsoft Licenses! Seriously think of how we could use that money if we would just see the future and move over the Google Docs. Ok guys as much as I love GDocs for collaborative projects and discussions there are some things Word 2010 has that are great for school. I especially like the SmartArt tool and WordArt and all the cool styles. It can make a document look really professional with ease. For grad school I love the references tool, the APA template and all the automatic fields. Autotext is a great time saver too. So I’m not ready to throw it out for imdividual assignments…but I definitely made my students create a Google account so we can collaborate and Blog! My name is Jonathan Giles and I’m a student at the University of South Alabama currently taking Dr. Strange’s EDM 310 class. I think there is a place for both right now. Google Docs has come a long way and it has many positives over Word. However, Word is still what I use for serious projects and papers and I mainly only use Docs for blogs and less important material. Plus, as you stated, Word is making a lot of changes for future versions. It may take a while, but Microsoft always catches up. Having said that, I’m very happy Dr. Strange had us use Google Docs. The last time I fiddled around with it was a few years ago in high school and it was garbage. Now, it’s almost right there with Word and as I said, surpasses it some area’s. I thought your blog post was very professional and brought up some great points. I can’t wait to see which one is the preferred tool 5 years from now. I agree that Google docs is a great tool (our district has an apps@edu account). However, I would like to point out that Libre Office (or Open Office) is a great free alternative to Microsoft Word that allows you to do more complex editing and is there in case the network connection is bad. I tell students and teachers to do most of the composing in GDocs and then at the end download as an Open Office file (.odt) to do more complex layout tasks. That way you can have your cake (online, any place access of GDocs) and eat it too (full desktop office software) for free! Another note: While Google Docs and Google Calendar are great tools, I don’t see how Gmail is that different than Yahoo or Hotmail. I think Google Docs is a great tool for casual writing/document creation. Jobs requiring anything over simple document formatting become a headache in G.Docs, though. Also, Word is part of MS Office. Google Spreadsheets doesn’t hold a candle to Excel (also a part of office). How is it possible for Google to produce a spreadsheet/charting product that can’t produce a best-fit line on a scatter-plot graph? This is a very important feature if students are doing any work with quantitative relationships in disciplines such as mathematics, sciences and social studies. I agree with him when he says that technology is changing and we need new tools for writing. Also, Google Docs seems much easier, seeing that you don’t need a USB cable to switch work over to another computer. You can just download it! That is really convenient for people who don’t have flash drives, or they just don’t work. And you don’t need to have a brand new Apple or Mac computer. All you need is a computer with internet access! And I do agree with him that Google is the future. It increases so much every day with new tools and gadgets. Soon Google will probably be the only thing anyone uses! I agree with this but Word is still useful. I like it because people can share their information in a safe way. No chance of losing your files. A Google docs seems a little to open someone could destroy your file if it is less open I would use them. It seems easy to convert them to other file types and post them to blogs. I really like this software because it’s the future of the internet and so on. Also I have had a corrupt files and I’m happy it will never happen with Google Docs. Also I think flash drives are pointless now. I think that this article is good for the fact that this is trying to get away from old stuff, and get to new stuff like, Google chrome and iGoogle. I believe that Google is better than yahoo and other web sites because it has many different free applications. I especially like your opening sentence to you 10 reasons about old school emails. I think that this is a very good idea, I agree with it. I like how you said you can work from your Ipad or Blackberry because I have a Blackberry so I could work on my phone and have my documents there. Another thing I like way how if you work on a paper at home and then you go to school it won’t be gone because that’s very annoying when it happens. I also like how you talk about how Yahoo, Hotmail, and AOL don’t have the same tools as Gmail and they don’t provide the same things and there old. That’s my reason on why I would switch to Google Docs. Rachel, you have a great point on why Google docs would be much better than a word document, or anything else. I also like how you put an example of why you like it better like you said, you could do your work from your blackberry. I think that iGoogle and Google will be used in the future with all the links. Google will be used for anything and will be on anything in the future. I agree with Google being used a lot in the future because it will be easy to use and you will probably be able to find Google anywhere anytime. Google is a better than most internet user because you can save almost everything on it. I think it’s a very good idea to use Google docs. One your documents won’t corrupt. You just need to get 1GB of memory to store week’s worth of information. You can store it as any documents, like a PDF I think. Also if I did saved anything, or maybe I need something for a project. I don’t need to keep a USB, you just need computer access like a Blackberry or iPhone. Finally Google is great. They have Google docs, Google chrome, and iGoogle. There spectacular application to use! I think that Google Docs are a good idea but also there are some things that I don’t like about it. I do like how you can access it at school and at home without a USB. I also like how it is easy to access. Even though there are some good things about Google Docs, there are also some bad things. I also think that it is a good idea how some classmates can do notes for you on a class that you missed. That way you can understand what happened in class. Another think that I like is how it’s different from yahoo, hotmail, or anything like that. With iGoogle you can do so much more. You can add applications and do a ton of other things that you wouldn’t be able to with any other email. Besides all those good things, I don’t like how everybody can see it without your permission. Everybody can see it with or without a Gmail. This is what I think about Google Docs. Although I have never tried Google docs I do like the idea of being able to share notes, papers, labs etc. I also think it is cool that you don’t have to carry that silly little flash drive with you anymore. You can work on any computer with internet access. I agree with the article, I think that we should trash Microsoft word for Google docs. I think this because of just what I heard about being able to share your work, being able to get notes from a class that you missed, and much more. I agree with the writer on the thought that Google is more advanced than Microsoft. Also I like that you can have all of the documents on any computer any time, and I think that is great. I like that almost nothing can stop you from displaying your things on any computer. I also like that it tells you that Google can prevent corrupt files, because I didn’t know that. Also I like that the author told us that anyone can use Google docs and every one can have access to it and they can work on it collaborate. And I also agree with the author about the old school mail things. Finally, I think that Google is better because it has all of the free apps. I’m sorry Emma, but I don’t agree. Some of your points were really good, but if you can see documents from any computer, how easy is it to hack into your account and see your stuff? Before I try Google docs, I’de like to see how reliable its security system is and all that. You don’t need to do that with microsoft word because it isn’t online. It’s safer than Google docs, even if Google is safe. Sorry! Emma, i definitely agree with you. All of the details that you put in your response were true and accurate. Google is definitely more advanced and it is neat that you can get free apps. Thanks for that information, I think Google docs can be a better tool than others by the way it seems. Still, Microsoft word is a tool with nothing wrong with it. It will take some time to get used to how Google docs is going to work out compared to Microsoft word. Organization sounds much better and neater. You won’t really need a usb or a special drive to store all documents; just a Gmail account. Any computer or mobile device such as: an ipad or a smart phone. It is a really cool online application that sounds like something I really want to give a try. There are some parts of Google docs that we could all benefit from. Having word is kind of difficult with school work because we can’t open our school files from home and vice versa. Having Google docs we could open them from anywhere and work on our papers. I like the idea of being able to share notes and make your work something that anybody can see and comment on. I also like word because I have learned how to use it for so long and it is private which can be a good thing. That’s my opinion on the debate. McLayne, I agree 100% with you! You’re right, opening them from anywhere and working on them is such a great thing, because you can’t work on something from school at home. I still like Word, too, because I’ve been using it for so long. McLayne, I totally agree with you. I really like the way you worded your response also. I hate going home to work on something and realize that you have all of your work is still on the schools computer! I also really like the idea of everyone seeing the work that you post on Google docs, it kind of motivates you more to do better on whatever you are working on. But I agree with your opinion on Microsoft Word… I’m so used to using that, that I don’t really think I would like to use anything else… Great Job McLayne!! I think Google is a great place to store documents online. On many computers you need to download new tools such as the latest version of Word and a new file types, but you can go to Google anywhere and anytime. Google can be reached on iPads, iPods, phones, and computers. Using it on the go is very helpful too. Google makes it easy to store documents that can be easier found than on Word. Using USBs may be a good alternative, but with flash drives you may not be able to find the document and the file may fail. I didn’t know about Google Docs before so I also think it should be more public. Now that I know about Google Docs, I would be more interested in using it. It is a powerful alternative to Word that should be used more often by many others. I think that Google docs would be a very good Idea for everyone. I personally do not like USB drives; they never seem to work for me. They never really open up on computers so I understand what he means. I really like how google allows everyone to work on the document, instead of everyone having to make their own. So you don’t have to keep editing until its perfect, when other people can just add their thoughts to it and a bunch of people can make it much easier to do. It seems much easier that you can use this from any computer with internet, instead of having to us a USB drive every time you would like to work on something. I think its cool how if you have chrome browser it allows you to work on your project on the way somewhere. I really love how you can even view it on your I pod or I phone, and even a blackberry. I think he’s right when he says it’s the future, so why not start now? Thanks for this awesome post! Jeff, Thanks for the great post. It really made me think. Google has become so powerful and such a wonderful tool in education. The ability to work collaboratively with Google docs is wonderful. This I have seen in action and watching a group of four students work on the same project and leave comments and revisions is quite amazing. The built in chat feature is great and allows them to have a voice while they work. I have not yet installed Google Chrome but this is something I have definitely put on my “to do list” in iGoogle. Sounds like more fun applications. Thank you for the input on Google docs I learned a lot and it gave me new ideas about how good Microsoft word is and I learned that it’s not all that great I wish I had been using Google docs longer then I have been because I have lost so much work messing up when I save because there are so many confusing steps but Google docs seems to be much easier. I also love the idea of if you’re absent a classmate or teacher can send you the work you missed. Thank you very much. Mr. Utecht, I agree with your post, I think you did a great job. We have been using Microsoft Office for a long time, and sometimes it’s harder to open things and there are better things that we are able to use like Google Docs. I love the idea that you can use Google to keep all your flies online instead, so if something does happen like you lose your USB, you can always access your files you need from anywhere that has internet connection. It would be better to be able to open any file, because that has happened to me with school work, I couldn’t download something I needed because it wasn’t the right kind of Document, which I hate when that happens, so this will make things much easier. The idea of having more than one person work on one document at a time because if you have a project that more than one student can work on it. I like the idea of switching to Google docs for writing I like because there are so much better things we can use to help you write. After reading the “Google Doc” I realized there are a lot of reasons why Google docs are better than word. USB drives are a pain to have to have and carry around to get a paper from home to school. With Google Docs you don’t need to use a USB drive you can access your work on any computer that has internet. To me that would be very nice to have. Sometimes when I save my work it saves it as a .doc and when I want to use it on a computer that doesn’t have word, it makes it so I can’t access. In some classes I am in, you have to assign the work to only one person, which ends up to with one person not doing any of the work. When you use Google Docs you can both work on the document because you can share documents, and edit it too if you have the login. With the Google Chrome browser installed you can work on the go by apps. After I read “10 Reasons to Trash Word for Google Docs” I got me to think about what he said. He said that with Google Docs you don’t have to worry about corrupt files on your flash drive, but I have heard people say not to rely on the internet for everything, so why should I put my documents on the internet? How can I be sure that somebody isn’t steeling my documents? These are things that worry me about using Google docs. Just about everything about Google is better than all the other search engines but I wouldn’t us it for documents. Google can help with so many things in life like getting directions or finding a store you might want to find but I would feel like my documents would be up for grabs on the internet. I would need more reassurance about the safety of my documents before I rely on the internet for that. I think that the article brings up a perfect and realistic point about technology. I think that USBs are getting outdated and they run into tons of issues like corrupt files or viruses on them. With the new Google Docs program none of these problems will ever be a factor again which will be an incredible advancement from the USB drive. I like how it points out its biggest features like how you can work cooperatively and how if someone is out you could take notes and then send it to the person so they can catch up on missed work. I also like that you can work anywhere you go and from any computer that has internet access. I think that Google Docs has the potential to overrun Microsoft Word easily with its great new features. I agree with his opinions on all of the “old” emails and I think that Google is the future of technology. Google is advancing fast and all of the old emails are not growing as well as Google is. Also, I love the idea of if you miss school or work then a friend can take notes in Google Docs. Then I wouldn’t have to be stressed and worried about my late work. In addition, I also like the idea that you can put your docs online. I think it is wonderful that other people can view your thoughts and work and expand on your ideas. I agree that the old docs have to go and Google is the future. I think that this article said a lot of true things about Google. I think that Google is the best for email because it has a lot of different applications that most websites don’t have. I think that Google has a lot of cool stuff that Microsoft Word doesn’t have. Google Docs is really useful compared to Word so I want to learn how to use it better and understand it more so I can use it more often. It’s really cool that if you are absent, you can still get all your work done and know what is going on in your class. I also think it’s really cool that on Google you can share all of your stuff with your peers, and they can share stuff with you also. I think that Google Docs is a better resource than Microsoft Word. Mr. Utecht, after reading the “10 reasons to trash word for Google Docs “ my already positive opinion about Google Docs has been strengthened. After reading I noticed that Microsoft word does have many flaws. Google docs fixed these flaws and made an almost updated version of word. With word you might have a corrupt file and your project or essay will be lost but with Google Docs you don’t have to worry about that happening thanks to Google Docs access to your file is only a click away. Another upside to using Google docs is the ability to publish a work your proud of to the public. Another helpful feature is the ability to share with team members. I agree with you that Google Docs is the best way to productively create documents and that soon we will all trash word for Google Docs. I have even used Google docs before. One time I was on my brother’s iPad because he was home from leave and our computer was being used. So I grabbed his iPad, but, of course his iPad doesn’t have Microsoft word, the best it had to type on it was the apple note pad. I had to do a homework assignment so I was going to type it in an email via safari, but then when I went to Google I saw this thing called “docs”. I didn’t know what it was so I clicked on it, and then I just ended up typing my assignment on his iPad, sitting on the couch watching a movie I typed a whole essay and got a b+ on it. I printed it at school; I was pretty surprised of myself. I think that Google is better than the other search engines because you can add the stuff that you need on a homepage and you don’t have to look it up. Google does a lot of stuff for us like different fun or useful gadgets and gives us accurate information. I think that Google docs and all the other gadgets on Google are great, but I am used to word. Google docs sounds amazing but also a little confusing to me, but I haven’t used it yet.After I have seen more about it and learn a little more about it I might think about using more, but it will take me a while to understand it. Since we are doing stuff in class with Google and Google docs I might get more comfortable with it and use it more often. I will use Google docs when working with a group, but when i’m just working alone I will stick with microsoft word. Microsoft word has been the way to go for a long time, but I think that Google docs are the “new” way. I think that Google docs is the right way to go, if you are going to have corrupt files and not have the key for your USB drive then just you Google docs. I agree with his opinions on all of the “old” emails. You can even create a Google doc on an ipad and blackberry. Another thing is that you can do it from any computer with internet access. Also, Google is the way to go because there are so many different search engines that don’t allow you to do these things like Google does. You also never have to worry about leaving your USB drive at home. Google docs are the future. I think that this article is very truthful because it is right when he said that we should not be using the old school sites. It also has protection so that it does not get corrupted data from other sites. It also protects from corrupt files and other viruses from other things like the corrupted data. And it also tells us that it would be public for very body to see what you have been writing about. I like the idea of working on any computer and any where there is a computer. I like the idea about that to turn bus time to work time. I enjoy that he said that it is all of the future. I think that this article was very good because of how he wrote his introduction. Google docs sounds so much easier to use than Microsoft. I like how if you’re absent that the person sitting next to you can take notes on the class and give them to you when you come back in to school. I also like that you can see your documents from any device like your phone or your computer at home. You can also create documents to share with your friends or even your whole team at school. I like that you can also make a webpage so people can look at your own work. That is why I like Google docs I think it is very interesting that you can do all of those things. In Google docs I like that you don’t have to carry anything with you. I think that you can save some things on Google docs. I also like that you can share some stuff to your friends. I also like that your files are not going to be corrupted. You can work at any computer that has internet. I agree that Google Docs is a very handy tool for creating documents and there are many great reasons to use it. In my classes, I encourage students to use it to assist them with information transfer, for there are some programs that you must use on only one computer, for example, Windows Movie Maker. It is wonderful for the students that have Internet access at home, however, we are not at 100% usage yet. There are still some people that have no Internet at home or that is incredibly slow. I do use Google a lot in my classes, simply to teach the students how to be more resourceful, taking advantage of all their resources for I believe they need to be proficient in using a great many programs. However, Google is somewhat inefficient to use as a shared document, simply because it’s slow and not completely dependable yet. Google Docs has yet to convince me that it can surpass the professional quality that Microsoft Word has to offer. There are still ways for Google to improve. I believe that they will. I believe that we should be able to use the software that fits the goal we have to accomplish, whether it’s to cooperate on a group assignment from the comfort of your home or create a beautiful-looking professional resume. Google is just another way to use technology to get the job done. I thought that article was very interesting. I learned that Google Docs is a great program to save work to because you never have to waste time buying a USB you can just save it to Google Docs and its all there. I personally think that Google Docs is ten times better than Word from that article that we read in class. I also like how you can share your documents with your friends and everyone around you. Its also great because if you’re on the doing something you can just go to Google Docs and finish the document you were writing so you don’t have to go looking around for it or looking for your USB. Overall, I think Google Docs is better than Microsoft Word. I believe that Microsoft Word is a very helpful tool to use, but after reading this paper on Google Docs I am not so sure which I would rather use. I mean no more corrupt files that could help so many people, Google Docs works on any computer with internet access! You could even do work on the go, as in if you have the Chrome Browser installed it would allow you to work on the go. To turn your bus time to work time, as you said in the paper. You talk about how we are turning into a web-based world. It is the future of the web worked world! I think that Google Docs. is a great thing to use. I think that Google Docs. would be better than Microsoft Word because we have been using Microsoft Word for a long time now and sometimes it is still kind of confusing and slow. I like the idea of Google Docs. being online because I don’t need a USB drive to put my documents onto different computers. I can just log into Google and go onto Google Docs. on any computer. I think that Google Docs. would be great for schools because we wouldn’t need to have to save it to your z: drive and then save it to Mahara or another school website. I am looking forward to using Google Docs! I believe that getting rid of Word for Google Docs actually seems like a brilliant idea. Instead of being stuck with the same “old school”, bland Word. I really like the fact that you can share Google doc’s documents files with people and collaborate with them. The author was completely correct when he said it’s the future. It does seem like it would be the future because it goes above and beyond Microsoft Word, and provides many more internet options that Microsoft will not apply to Word for a few YEARS. Google Docs seems really promising, and is bringing us the future, now. I think this is totally correct. People and especially students have been using this old school thing called Microsoft Word. They have been using it for reports, homework, projects, etc. Now there is a more online up to date thing called Google docs. Google docs have so many great features such as like you don’t need a USB flash drive anymore because it has an online storage locker. Unlike Microsoft word when they update you can’t access your old files Google docs will open every time. I agree with him because I have some issues with Microsoft word to and it is annoying when you work on a paper forever and you can’t open it at school because it is a corrupt file or it isn’t the same updated word that is at your house. It can ruin your grade. With Google docs it is online and has a storage locker and has everything you have saved there. My opinion is that Google docs is a more updated Microsoft and way better. I agree that Google docs are more advanced than Microsoft. I like how with Google docs you don’t have to use a flash drives. I think that’s cool that from your mobile device you can access your files. You can create documents on Google docs which is cool that you can share with your friends or club members. So my opinion is that Google docs are a lot better than Microsoft. Google Docs seems like a very helpful and high tech tool. This makes Microsoft look silly, this thing can do anything without any worry of losing one of your documents or being worried that it won’t show up on your teacher’s computer. With Google Docs you don’t have to worry if you forgot your USB drive or laptop at home because with Google Docs, with any computer or mobile device you can access your files. I think Google Docs will be a very successful program. Thanks for this great post. I do believe that Google Docs is better than Microsoft word because it is already online, so you don’t have to save it to a USB drive or anything like that. By saving you work to a USB you risk the chances that you can lose the USB, or maybe the computer might not open the file from your drive. But with Google, all you have to do is go online on any computer and you can save it from there. Another reason why is because sometimes it does not save right in Microsoft, so I believe that Google Docs is a better way to save your files and to open them from somewhere else. These are the reasons why I believe that Google Docs is a lot better resource than Microsoft Word. Google docs seems like it is going to be great. Out of the things I heard I’m defiantly going to use Google docs. This seems like it is going to be another helpful thing created by Google. In my opinion I think more people should hear about this because it makes a lot of stuff way easier. I’m not sure why this isn’t on the news or something for more people to hear about. I think you are correct as to why Google Docs is better than word, because if you lose something when you drag it from your file to a Z drive nothing is worse than having it not be able to open having learned it firsthand. I think that all students could really benefit from reading your ten reasons and switch from Microsoft to Google Docs. I agree that Google docs are more advanced than word. I like the fact that you can work on your things from like your mobile device, ipad or even your blackberry. I also agree with reason number ten because it is the future. Pretty much everything now is used with technology and the internet. I think Google Chrome is a lot better than just the regular internet. I liked the article. I must admit that I agree completely with those reasons. They are well-explained reasons as to why Google docs is much better than the “old school” emails. Google docs truly does allow you to do so much more than Microsoft Word, or any of the old emails. Being able to access your documents and files from anywhere in the world on pretty much any electronic? I find that amazing. I have always hated corrupt files, because they just make things so much harder for the student if they are trying to open something at school. Not being able to worry about that when using Google docs is great. Also, being able to receive notes from a missed class is a great way to make up any missing work. I really like the fact that if you have Chrome browser installed, then you can complete your work at any time, even on the bus! I love that anyone is able to publish their work and share it with friends. This engine is much better than any other, including Microsoft Word because it allows you to do so much more than just type documents. Google docs is a wonderful idea that I hope many people use and enjoy. Thankyou for providing this idea to our school. I agree with you when you say how you can use Google Docs anywhere. Great job! Also I agree when this is a great thing to provide to our school. Nice! Mr.Utech, I agree with you completely. I love Google more than any other web app that they make. I use it for E-Mail, my browser (Chrome 5.0.3), and Google Docs. I started using Google docs last year in 7th grade when I heard that you could store your files on your Google account and access every file from any internet-capable computer in the world. You don’t have to worry about saving it to a .doc or .docx file and worry about it opening in a word 97-2003 versions. I think every single person in America should use all the different Google apps because they make the internet easier to use. I spend a lot of my time on the computer for school, social networking, blogging, etc. So I know a lot about this kind of stuff. I learned a lot from these Google apps, they just make life a lot easier. Thank you Mr. Utecht, I am really looking forward to using Google in Tech Ed this year! I like how you compared Gmail to AOL, Hotmail, and yahoo. I didn’t know how many really cool things you could do with Google until I read this post. All of the cool gadgets and apps you can use. Also, I didn’t know there was so much you could do on it. I think it’s cool that you can work collaboratively with friends on your work. I agree that corrupt files and USB’s that have stopped working stink, it’s nice that you know that won’t happen with Google Docs. Being able to access my document whenever I need it sounds amazing, I hate forgetting my USB or not being able to find something, accessing it wherever I go seems like it could really benefit me. I like that you can share something your proud of. It’s good to know that I can count on Google for helping me more than Word does. I like knowing everything I would need to go is done and I won’t have any corrupt files or anything. Even though I’ve grown up using Microsoft Word I definitely want to try out Google Docs because I think I will love it a lot more. This has really helped me to understand more about why Mrs. Hegstrom loves her Gmail account and Google so much. I agree with what you said about this world becoming completely web based. I can see why everyone likes Google. I can’t wait to try it out and see for myself how great it is. Thanks! I agree with what you said! I think you wrote this perfect! I like how you started with Thank you. I know you were excited just like i was! It think that you did very well. I have the same type of thinking as you. I agree with you Mr. U, after reading about Google doc. It and all the other Google apps, makes me want to give up yahoo and move on to Google. Google is going to destroy, yahoo, hotmail, and AOL in the future, just because of its amazing apps. After reading your blog I now think that Microsoft word won’t be around much longer after Google Doc. is out. It seems so much faster than word just reading it, I can’t wait to try it out. Mr. U you pulled me in to this, I especially liked what you said in the first paragraph, and like I said earlier you make me want Google. I think it’s extremely cool how you can access your documents from any mobile device, like you said it doesn’t matter about the view, it’s just cool being able to access it anywhere now, on your iPad, blackberry, because if I have documents, I could possible use my iPod touch to access them. I like how you don’t have to use flash drives either, I hate those, because I’d always forget them or either they wouldn’t work, but now I can trust Google doc. if I ever use it. It is very cool how instead of wasting your time on the bus like you said you can be working and getting what you didn’t get done, done. I also like how you can work on documents on the computer, bye Word, and hello Google Doc. When you said how yahoo, AOL, and hotmail aren’t as amazing as Google, it made me think of all the cool apps Google has. I think your right about Google, and now I get to make my own Google account, and I would have never thought of it until you, so thank you Mr. U, and your blog was amazing, you really put a lot of detail into it, trying to pull the reader in. My favorite thing about your blog was what you said about Yahoo, Hotmail, and AOL. I do agree with this way of saving and typing documents one hundred percent because I can’t even count how many times I’ve had a USB malfunction. I have used other Google applications in the past such as maps, images, and videos. They have all been very useful to me because not only does it come up with the exact thing I need it gives me all of the choices, not a doubt. That’s mostly why I use Google most of the time anyways. And now that it has a way to type and save files it appeals to me that I am definantly working in the future network. Not one like Microsoft that gives me few choices to save my work. Also Microsoft word doesn’t even let you publish it. At least with Google you can show the world your skills. Another perk to Google and Google docs is that it’s all free. You don’t need to pay for any membership or buy it; it’s all at the tip of your fingers. With AOL, hotmail, and other search engines they don’t have those types of benefits. You either have to pay for it or they don’t even have it at all. Right at that second when you form that G-mail account you can access, books, websites, maps, pictures, and even a document. Also Google is also protective of your e-mail account. I am not saying that all the other search engines don’t have protection. But with the protection of your account and the benefits of it. Know what else? It can be on the go also. With the Chrome Browser app. 10 Reasons to Trash Word for Google Docs was really eye opening and interesting. I agree with almost everything that Jeff Utecht said. Yahoo, AOL, and Hotmail don’t offer you at all anything as much as Google does. With Google, you can make calendars, to-do lists, check the weather, and so much more. What really impressed me was the new Google Docs application. It seems a lot easier to use and more high tech. It would definitely be really nice to not have to carry around a USB drive all the time, because I usually almost always end up losing mine, and then my assignment ends up being late. Its also really cool that you can use it on the go, where ever you want. Google instead of Microsoft word I think is better because with Microsoft word we can’t take it places with us without a flash drive. And with Google docs you said in your post we will be able to bring it with us were ever we go without a flash drive. Also will be better because we won’t have to worry about our flash drive not working on our teacher’s computer. Google docs will be better, only because we won’t have to worry about our work, not working on our teacher’s computer, carrying a flash drive everywhere. I think when you said “some of you still use hotmail, yahoo, and seriously AOL, comes on”. I that thought that was a little funny. Yahoo, hotmail, and AOL don’t do this stuff like Gmail does. I think Gmail is better because we get to do Google docs, sign up free, and let us get games and stuff that can go with things were learning in school. It is a good idea to use Google docs, other than Microsoft word. I think this blog was very interesting, thank you. It never caught my attention that Google had so many applications, or that the other companies that are people regularly using are lacking. I also didn’t know before I read this, that you could put documents online and access them from anywhere in the world without having to use a USB drive. Something I found interesting from this blog was that people could be using and working on the same document so you could be more productive with whatever task they are working on. Another thing I really liked about this blog was the way it started. It really hooked me into wanting to continue reading. Especially when you mention all of the other emailing companies and how Google can give you so much more, and for free! There is one thing I disagree with though, and that is Microsoft Word. I find that software very useful; I have never had a problem with it. It makes it easy to take notes write papers and format everything to your liking. It also has the ability to add graphics or even pictures of your own, though something that could help this software is including the internet. Thank you Mr. Utecht, for teaching my about Google docs. I agree with a lot Jeff said. I for one, use Google Chrome, and love it. I have a front page with apps, and a custom background. It’s a lot better than that Internet Explorer stuff. I find it to be so much faster, and have cool tools to use. Even next to my browser I have apps! They’re very helpful. I have a sports app, which shows me sports scores, and lets me watch sports shows, along with a translator, dictionary, and guitar tab website, all next to my browser! I don’t need to go anywhere to get them anymore, because it’s all right there for me. Google Docs sounds better than Microsoft Word. It’s a good concept, and has great ideas behind it to make it easier than Microsoft Word. I have noticed that the only thing that has changed on Microsoft Word is the display, and that dumb paper clip guy. The display gets more “Technical” as the years go on, and, thank the lord there is no more paper clip guy. I have used Microsoft Word all through school, and the only thing it’s good for is writing papers, and saving them and you can’t even open them unless it’s on your Z-drive. I think Google Docs sounds well because you can save it online, so it’s there, and you do not have to worry about losing your work anymore, which is a life saver. I personally think that Google Docs seems like a very useful place to write. What really isn’t good is when you lose a document, but like you said Google Docs, you won’t lose it. I’d like to use it in my classroom and learn more about the apps, calendar etc. I’ve lost several things that I saved on a flash drive, the main reason I would probably like Google Docs is that I won’t have corrupt files. I also like the idea of working on my phone and using it anywhere I want, whenever I want. It seems as if Docs is much more organized and easily accessible online, something I could enjoy a lot. Google docs seems like it is a very trustworthy site, and that it works a lot better than Microsoft word. I agree that it’s helpful to write it on the internet, so you can post it to your blog, if you need to. They have a lot more tool’s in Google Docs that Microsoft or any other websites (Yahoo, AOL) doesn’t, that he had pointed out. As he said, trying to remember your USB is hard, and the first time I used my USB I had trouble getting the documents to get onto it, and to show up in the classroom. If I had used Google Docs, I could access it anywhere, and it would show up easier. Once, I was absent and I had to go in for lunch to make up the notes that I had missed. That wasn’t a problem, but it would have been a lot easier if a friend had taken them, on Google Docs. My friend could have sent me them over Google, and I would have had my notes at home. Google Docs is just a huge storage locker that can open up on any computer. Google Docs is way more convenient, and I believe that this is more reliable that Microsoft Word. I think that I would still use Microsoft because that’s what I’ve been used to that. I think that I would still use the Google Docs because I think that would be cool to use things online and do school work online. I personally think that Google is an amazing company and it would be so cool to use the Google docs and saving stuff online. One think that I wouldn’t like is if you couldn’t get internet connection and so then you couldn’t open your work, but if you had Microsoft then you could open that without internet connection. I honestly don’t really use my email because I really don’t like it even though it only yahoo. I really don’t want to have a Gmail but once I’m done with it I think I won’t use it again, but I really think that Google is the best because they give you free apps. Other websites don’t give you these free apps. I can’t to talk to you about the Google docs. After reading the blog post on the ten reasons to trash word for Google Docs I agree with everything. I do believe that Microsoft is very outdated and that Google Docs is a much more updated, and improved version of word. It has much more to offer and it does make me wonder why we still use Microsoft Word. From my reading I learned what Google Docs has. I learned that they don’t have corrupt files or USB keys, the ability to work collaboratively, make it public, export to PDF or Word without any problems share and share a like, no more .doc or .docx , and some of my favorite ones, work with any computer with internet access, and work on the go. These ones really make it a lot easier because you can use it almost anytime and anywhere, and it allows you to be very flexible. This blog post really helped me to understand how and why Google Docs is so much better than Microsoft Word and it also made me form my own opinion on this topic. I also believe that it is time to move on to new and better tools of the future, and not get stuck in the past with Word. As you said, we are headed into a fully web-based world. I would also love to get a jump on the future and get use to working on the web now so we’re not playing catch up later as the blog said. When I read this blog, I disagreed with it. Yes, Google documents do make it accessible around the world, but does that mean that anyone can easily hack into it, anyone can access it? Since Microsoft Word isn’t online, people don’t see everything we write. I’ve never had the issue of a corrupt file, or a corrupt USB key. The .doc, docx lets you open it in different word processing companies. And what if your computer doesn’t have internet access or your internet is down, and you need to work on a document? Sorry, I just don’t agree that Google docs are a good idea to replace Microsoft word. I think Google is good for a lot of things, but not so great for documents. You can certainly have both, but if you want just Google docs, it’s always good to have a backup, right? I agree with Jeff said the USB corruptions, corrupt files and working from any computer! All of this could be a lot of use if it worked! I have had this happen too many of times. But now I am using Google way more than any other web apps I use it for my email Google docs and my browser. It makes the internet way easier to use now I can go onto any computer and I can open my files. Overall I like using iGoogle more than Microsoft word. Hey what’s up man, thanks for the post. I don’t have internet, but if I did, the first thing I would look into is Google docs. It seems super helpful, and seems like an important tool. I never knew that there was something like Google docs. Hopefully I will get internet someday and be able to use it hahaha. But for now I guess I’m stuck with old school Microsoft Word. O well, see you later dude. I think Google is better because when you search it has many answers while other search engines might have a couple and Google does it very fast while others will take a while. Google is better because if you make account it gives you all of these extras like no corrupted files no, more corrupt USB you gust enter your Google storage locker. No more documents Google you just share the file. If you are out you go to get your stuff from the teacher have you friend take notes in Google docs which is very nice. I think that Microsoft word is harder than Google because when you want to open something you have to go through a lot of steps and on Google you can just go on it and click it and you are done. It is also better than other search engines because on Google you can have a g-mail account and no one can see what you wrote or anything, but on other search engines when you have g email people may be able to see it. That is why I think that Google is better than other search engines. What Google does for us that other search engines does not it allows us to look up things and get an answer very quickly while Google does. Those are what I think about Google and other search engines. Thank you for your blog post, I learned so much! I agree with you in thinking that Google is the best engine. It has so many apps, I can have an email, and I can search for things that I like or need to research. Also, in Google docs I can send documents to my mom, such as essays and projects, and have her edit them for me, without having to wait until she comes home from work. I can also publish my work and get it out on the internet so that potential employers and schools can see it. I also love the idea that I don’t have to email every document that I do to myself or put in on a USB drive. Google makes it so easy to be able to do so many things on the internet and is so user-friendly. Good-bye Microsoft Word! Thank you for teaching me about the benefits of Google! I think that Google is the best engine on the internet. It includes email, iGoogle, a search bar, and thousands of apps. I can research anything I would like and I can find websites that are approved by my own school. I think Google is great even though it is still in progress with iGoogle. They do multiple things better than other search engines. First, Google gives us an email page where we can add a calendar, gadgets, to do lists, links, and more! Second, Google has an amazing search bar that gives us the best information possible. It also connects with schools and businesses. Lastly, Google gives us a new piece of technology online called “Google Docs.” Google docs lets you write stories, essays, and more without having to be on a curtain computer. It saves the work and stays online on that website so that you can’t have corrupt files. I also think that this is a user-friendly website that I will use in the future. Thank you Jeff for giving me this tool to use. I have learned a lot about Google and Google Docs. You really explained everything and i think it was great, i kind of think that not all search engines have a lot of things to learn more about! I use Google than mostly everything else but, I believe that Google is better than some other Search Engines, because NOT ALL of the Search Engines may have everything that you might be looking for. Sometimes you probably can find what you’re looking for on different Search Engines, but some might not. Mostly not all Search Engines could just be for searching, like Google there’s images, map’s ect. Like AOL, Bing, Answers, Ask, they don’t really have like what Google has. So you could find most of your stuff on Google, Aol, Bing, Answers, & Ask, & iGoogle probably can have like trillions of results not like much other Search Engines have. I also think that we shouldn’t use Microsoft word anymore because i have been using it since I was in middle school, and they might make a new thing that is like Microsoft word. So let’s trash Microsoft word & discover a new thing! Jeff, thanks for the post. It did make me think about Google. With Google Docs, the ability to work with others on the same document is amazing, and the way you put it made me want to try it out. I was great! I love that I do not need a usb for my things! A good thing about it is that it has privacy settings that lets everyone, selected people, or only you to view it. I have owned Google Chrome for about a year now, and it is also works very well. A great thing about Google Docs is that it will let you upload files that already exist on your computer, so that you don’t have to retype the whole thing. I think Google Docs is another good alternative to using Microsoft Word. There are many good things about it, such as the ability to share your files without having to worry about what version of Word or another processor that someone else has. Also, you can store all of your work and information online in Google. Google Docs is also compatible with word and PDFs. Although, there is a down side to Google Docs. If you do not have internet accessibility, then you cannot use it. Thanks for the great blog! It really showed me how great Google docs is. I have every problem that was listed on your blog. But the big problem was what if you don’t have a mac computer? Than what can you use? Can you get google docs on a PC? I have used Igoogle for almost 4 days and have noticed how great each gadget or application is. Google is a great website. nice comment stone and that is a good question. Thank you for the great post about Google. I love Google and always have. I have installed Google Chrome on my laptop at home. It has always helped me when I get stuck on something and need the answer I have used Google and it gives me an answer fast and correct. For the past few days we’ve been using iGoogle and it is fun and can help us with studying for a test. Thank you for the blog post. I think that Google is better than most engines. I think that Google is better than other engines because in Google Docs you will not ever lose your work. Also, because you can also post your work online easily. You can keep all of your files online instead of having to use a USB. Another reason is because it is so easy to access; you can access Google Docs anywhere where you have internet access. You can also work with other people on assignments. You can have your friend take notes for you can you can just get it from them. These are some of the reasons why I think that Google Docs is better than Microsoft Word. I agree with this blog because it does seem more convenient to have google around. It does sound though that Microsoft is having some problems with it and it sound like that google doc solves these problems. Also it is true that I do forget my flash drive sometimes and that it would be easier for me to have Google docs just in case I do forget my flash drive. Also google has more docs than Microsoft. Also if I lose my flash drive I would have Google docs as a backup. Also I can access Google docs from anywhere I go especially if I don’t have a laptop to use Microsoft. Also Microsoft is getting old and there is another website like Google docs that is better than google to use. Sometimes Microsoft doesn’t work on my laptop all the time and it says I have to enter some stupid 25 character key card. I personally agree that Google docs are defiantly more convenient than Microsoft.. I agree that Google docs are more advanced than Microsoft. I like how with Google docs you don’t have to use flash drives. I think that’s cool that from your mobile device or anywhere you can access your file. You can create documents on Google docs which is cool that you can share with your friends or club members. So my opinion is that Google docs are a lot better than Microsoft. Google Docs is very useful for the reasons already given in the blog, but when it comes to functionality and manipulability, MS Office is light years ahead. Google Docs or any cloud office software seem like a stripped down version of MS Office. Great if you only need to make simple docs but not good if you need quick, precise formatting, styles, etc. Fidelity is also important. If I create a document in Google Docs, will it look the same when downloaded as a Word doc? From what I’ve read, this is still a problem. I look forward to a time when online functionality will match that of the offline software. But until then, it’s not much use for power users of Office programs. I’m finding there are fewer and fewer reasons to use Word. There are some advance features in Word for sure…but for 99% of what I do on a daily basis and 99% of what I see students doing….Google Docs is sufficient. This blog post was written for students and I think they could go Google Docs without much else. As for downloading in Word I haven’t had any issues lately and it seems to keep the formatting…same with uploading a Word file…they have seemed to work out most of those kinks as well….it’s just getting better that’s for sure. The other thing to think about is Microsoft has already announced that the next large update to Word will move it completely on the web much like Google Docs although they’ll still support the desktop version. Their online version is looking better all the time as well so we’ll see where this all goes. If you’re writing a 300 page book with numbered pages and lots of photos, is this something you can do with Google Docs? I know it can be done with Word. I know many books that have been written in Google Docs. Yes…at some point they need to be downloaded from Google Docs and given to the publisher in Word, Pages or OpenOffice format. But the actual writing of the book, editing of the book, etc have all been done in Google Docs. A much safer way to keep your book stored while you work on it as you don’t have to worry about a corrupted Word file…which has been known to happen especially with that large of a file. I am going to try to copy and paste my book which is in Word to Google Docs. Is there a simple way to paste a large file with photos from Pages or MS Word into Google Docs? Actually the easiest thing do to would be to upload the Word document and convert it to a Google Doc. You can upload a document that is 1GB in size or smaller. That’s a lot of images in a Word Documents. Thanks Jeff, but Google says it can only convert files that are 2mgs or less. Google Drive is invaluable as I work on both Macs & PCs, depending on which office I’m in. As a copywriter, I’m finding Google Docs invaluable for collaboration. G-Docs is great. I’m also finding Google “Presentations” & “Drawing” very useful. And I’m so excited about all the recently added fonts. No need to trash Word..they’re trashing themselves! And the one reason why in my school Google Docs is not the best answer. Great sales pitch for Google, but unfortunately I must disagree. MS Word has never let me down as much as GDocs seems to. Transfer to pdf? Yes you can do that as long as you don’t care about the document carrying over any of the formatting that you’ve spent forever making perfect. In addition most big companies won’t let you access information transfer systems, so getting access your document is far from certain – a memory stick is still a far safer bet. No, for the moment I’ll be sticking with tried and tested software that actually works thank you very much. Yes, you have 10 reasons to use google docs over word. But really, I can easily think of 100 reasons why word is better than google docs. And really, you can easily store and access word files online too so the whole “corrupt files on a thumb drive” complaint is a mute point. Have you ever tried working on a google doc without an internet connection? Yes, I work at the cabin when I stay for long periods as well as working on a plane. The reality is that Google Doc’s capabilities are 10 years behind Word’s. Excellent Analysis. As you mentioned, there are a ton of other spreadsheet apps out there for Windows, but you try CollateBox ! Its an amazing way to organize spreadsheets much better than google docs. Those points are not particularly compelling. A few moments double checking will ensure that you do not have corrupted files and that there is nothing wrong with your usb stick. Those sorts of things generally happen to people who are in a rush and are not being careful. The whole .doc/.docx issue is a case of Microsoft being an arse, not a reason to ditch word processors in general. Never mind that you can get a compatibility pack that allows you to read .docx files for most versions of Word that anyone has, so there’s no reason that an older version of Word is a problem. Further, Open Office/LibreOffice are more than capable of opening those files with their default installs. — Additionally anyone who gets a hold of your link can view the file, not just the person you sent it to. That’s a double-edged sword from my perspective. Collaborative work is overrated and there are other solutions. Some of the time this will be required and Docs is fairly ideal if you need a quick and dirty solution. Exporting to PDF is readily available through software that enables any program that can print to produce PDFs and some word processing software has it’s own built-in PDF exporter these days. I would debate the actual utility of working on the go. I’m not convinced that you can be focused enough (read: not distracted) to accomplish much on a bus for example. I really don’t think this whole web based world is the best idea. Some of us were born before that and actually liked owning our copy of the software and being able to work offline. Not to mention the unpleasant experience of being subject to DNS outages, the real privacy concerns of storing our data on a third party’s systems (they have a legitimate right to look at anything that’s on their system), and the need to rely upon a third party who can constantly change the tool that is available (and how it looks) or decide that we need to pay more to keep access (new versions, etc) or just axe the whole service altogether (possibly destroying our data in the process). On the whole, while Google Docs is an awesome tool, I would not say that any of these are compelling arguments for moving to that as your primary solution. And in 2014, they’re still not. Yes…if you understand how to do that. A 4th grader or a 5th grader is probably both A) in a hurry and B) has no idea how to check to make sure the file isn’t corrupt. Unless we’re going to teach every student the ins and outs of how to use a USB key and how to check for corrupt files…..which takes time away from learning. So still think drag and drop to your Google Drive is easier, faster, safer. Google has now updated so you can read and convert any of these files…and it doesn’t matter what computer I’m on. The one in a cart at school or the one at home…I have the same interface. This isn’t about ditching word processing. Google Docs are word processing we’re still teaching it just we’re to a point…as you make that it doesn’t matter if it’s in Word, Open Office, or Google Docs…the program no longer matters…which is a really really good thing! We can debate this…I just know I love working on the airplane…offline…on my docs. I know students who are on the bus for a better part of an hour who enjoy being able to get work done and when they get to school the documents auto syncs updates. Is it the best environment to get work done? Nope…but can you? If you need to. Agreed those born before this time will, and many do, have a hard time moving to a subscription based world where you never really “own” anything anymore. That’s a switch and one I would say this current generation in our schools is OK with whether we are or not. You can work on Google Docs offline, your email offline, calendars works offline. So working offline….as long as you’re in the Chrome browser…..isn’t an issue with Google Drive in 2014…it was when this article was written however. As for privacy….I get that….however I’m not really concerned about a 5th graders story or an 11th graders essay. In my opinion if someone wants to waste their time reading essays and school work from students….go for it. I get the privacy thing around files we need to be concerned about…totally think there are some things that shouldn’t be stored in the cloud. But 99% of the work students do…..does it really matter? Do I care about a math test? A spelling test? I guess one could make the argument we should have been shredding every single piece of paper students ever produced because somebody might…not will…but might find it in the dumpster after school and….read it? Use it? The real question is how secure does student work have to be? How secure has it ever been? The compelling argument for most schools is cost. As school’s budgets continue to get tight…do you give every student the suite of tools that comes with Google Drive for….free. Or buy a Microsoft site license for millions so everyone can have those tools? In the end the compelling argument is being made for schools by the government and it’s funding of education. GoogleDocs is a good, useful browser-based word processor. I have tried using GoogleDocs a few times over the years and it just never has offered enough to win me over. To be fair, I have not sampled the most recent update, but simple things like not being able to put text in columns or insert a text box made it too anemic for classroom use. Yes, it is free, but so is a more capable program called WPS Office (formerly Kingsoft Office) that is actual software and not a word processing browser. (Not all students have internet access at home.) People have been telling me how great GoogleDocs is because you can comment on someone’s document and give them feedback electronically. MS Word has been doing that for over a decade. I tell my students to use GoogleDocs if it works for them (I mention a few different options with word processing and cloud storage), but they usually end up ditching GoogleDocs due to formatting limitations. Forever it has seemed that word dominated the professional world as the main document writing/sharing system. But it is clear that it is no longer useful. Unfortunately most places of business still insist on the use of word. This means lost files, crashing my computer, spending almost 15 mins not responding etc, and its the same problems for my coworkers. There needs to be a petition of some sort to switch over to google docs. Its simply ridiculous to continue using such an outdated system. Wow… what a great post! I recently had to merge some files and spent an enormous amount of time trying to find an appropriate service. Eventually I found a good one. So here is my saving grace: AltoMerge helped me to merge and manage files order. Just try it link to goo.gl, you’ll love it. This sounds like a wonderful idea! I’d like to try it with my class too, but there are a few sad students who are likely to delete other’s assignments from the dropbox. Is there a way to prevent other students from editing/deleting oneanother’s work within the dropbox? I guess they could chose to share the document with the teacher only (though then they can’t read oneanother’s work either). I agree with most of the positive reviews of Chromebooks and google docs, as far as functionality and collaboration. I am amazed however how easily one gives up privacy. Google services should be considered as a Trojan horse. I cant argue about the excellent products but they are the tool to open the door. I use google docs with ZERO expectation of privacy and 100 % expectation of building my google “profile”. Google Docs is NOT a “very powerful alternative to Word”–is it a bare-bones word processor. As you say, its best feature is the ability to have several authors edit a document simultaneously. And it works fine for simple documents. For complex documents however, there is no comparison between GDocs and Word. Nor can you export to Word or PDF formats “with no problem”. If you have a complex Word document that include things like a table of contents, footers, headers, footnotes, tables, automatic numbering and graphics, then the file is likely to get mangled on import and again on export and require a lot of manual repair, or worse, the file becomes corrupted. GDocs works fine for simple documents. If you deal with complex documents, you are best advised to stick with Word.